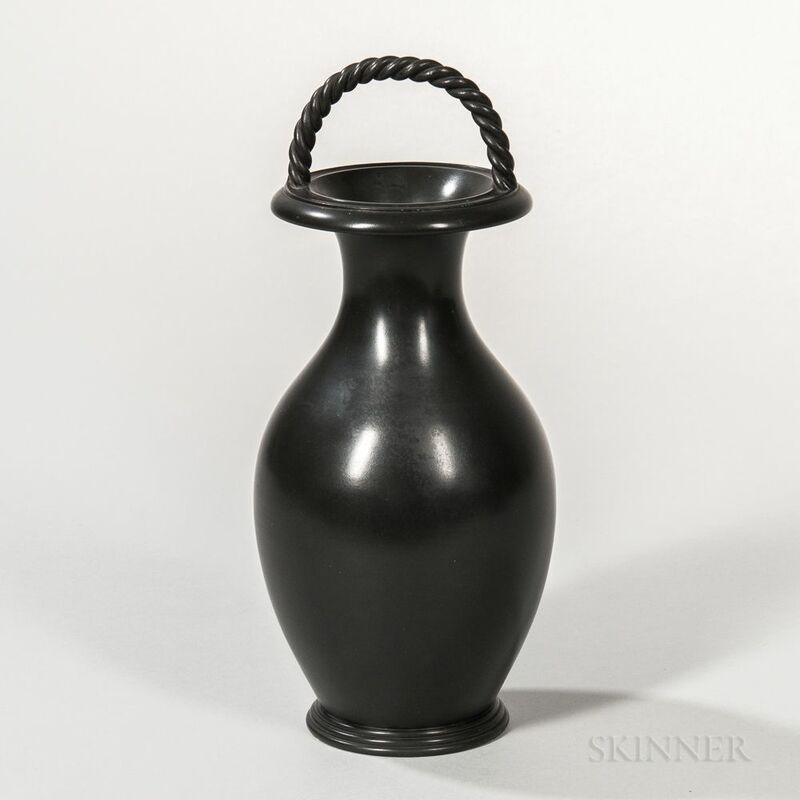 Wedgwood Black Basalt Vase, England, mid-19th century, bottle shape with entwined bail handle, impressed mark, ht. 11 3/8 in. The property of Jeffrey Milkins. In very good condition throughout with no evidence of any cracks, chips or restorations.